The midyear import numbers are in and the news is very optimistic. The U.S. handmade cigar market experienced robust growth in the first half of 2018, sustaining the positive pace set by the imports of 2017. For the first half of this year, shipments of handmade cigars to the U.S. from the eight leading producers rose by 9.9 percent to nearly 166 million cigars, according to data provided by the Cigar Association of America (CAA). Last year, the U.S. imported a total of 330 million handmade cigars—the highest number since 1998. If this year’s import numbers continue on the same upward trend, 2018 is looking to be another year of positive growth. Note: Totals of columns may not agree due to rounding. The leader by volume so far is Nicaragua. In the first half of the year, the Central American country exported 80 million handmade cigars to the U.S., up 13.5 percent from 2017’s midyear totals. This is particularly impressive considering the political turmoil, labor strikes and violence plaguing the country since April. Blockades on the Pan-American Highway from anti-government activists created a number of logistical problems for Nicaragua’s cigar operations, primarily with shipping delays. While the country is still unstable (and the death toll exceeding 300, according to some sources), Nicaragua has still posted growth. Though lagging behind Nicaragua in total export numbers so far, the Dominican Republic has also shown growth. 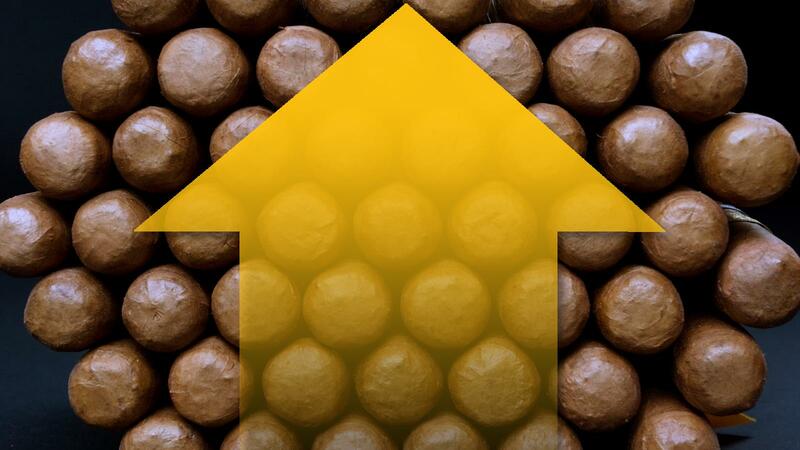 Its midyear export numbers to the U.S. for 2018 were estimated at 54 million handmade cigars—up 4 percent from 2017’s midyear totals. While the CAA tracks shipments from eight leading premium cigar producers—the Bahamas, Costa Rica, Dominican Republic, Honduras, Mexico, Nicaragua, Panama and the Philippines—three countries make up the bulk of all the shipments. With Nicaragua in the lead and the Dominican Republic in the No. 2 spot, Honduras comes in third at 31 million handmade cigars exported to the U.S. for the first six months of 2018—up 12 percent from last year. No other country exceeded the 1 million unit mark.